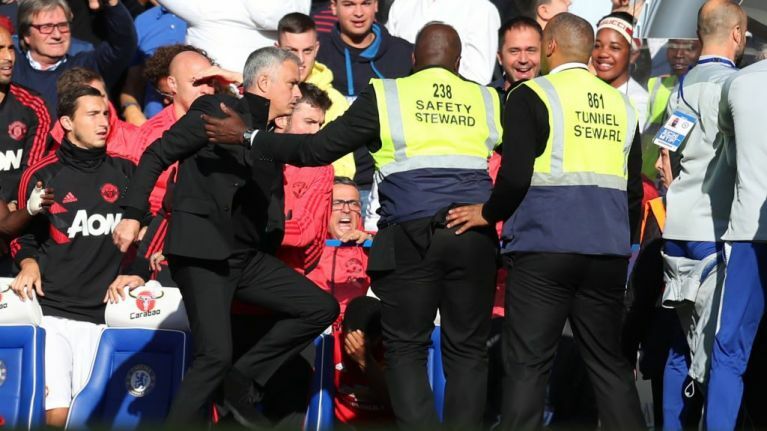 Chelsea coach, Marco Ianni, has been fined £6,000 by the Football Association, after admitting to an improper conduct charge, in his over-exuberant celebrations against Manchester United. Maurizio Sarri’s second assistant coach sparked a touchline fracas, after celebrating Ross Barkley’s late equaliser in front of José Mourinho. An FA statement read: “Chelsea coach Marco Ianni has been fined £6,000 after he admitted an FA improper conduct charge. The FA reminded Mourinho, Chelsea and Manchester United of their responsibilities in the aftermath of the incident, which occurred at the end of the 2-2 Premier League draw.